Fan Expo Canada is an annual multi-genre pop culture convention held in Toronto, Ontario. 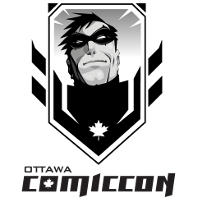 The event was founded in 1995 by Hobby Star Marketing Inc. and was originally named the Canadian National Comic Book Expo. The convention is typically held the weekend before Canadian Labour Day that is celebrated on the first Monday in September. 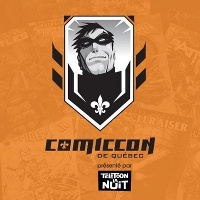 The inaugural Canadian National Comic Book Exposition took place in 1995. It drew between 1400 and 1500 attendees, which is not that much for a fan convention. Originally the convention showcased comic books, science fiction and fantasy, film, television and related popular arts. Attendance has grown considerably over the years, and the show has expanded to include a wide array of popular culture and fandom elements, such as anime and manga (Japanese animation and comics), horror, animation, video games, collectible card games, toys, web comics, web series, etc. In 2006, the event was re-branded as Fan Expo Canada and moved to a much larger venue. 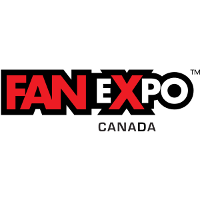 Today, Fan Expo Canada is the largest event of its kind in Canada and one of the largest multi-genre fan conventions in the world. In 2014, it drew almost 128,000 attendees. The convention is currently owned and organized by Informa Canada Inc, which acquired Hobby Star Marketing in 2013. Fan Expo Canada programming is similar to that of other pop culture events around the world. It includes panels, seminars and workshops with special guests and comic book professionals, photo ops and autograph sessions with guests of honor, previews and special screenings of feature films, a costume contest known as the Masquerade and many other events. Besides, Fan Expo Canada hosts special events for industry professionals only. Each year the organizers of Fan Expo Canada try to provide unique and exclusive attractions that feature special guests. For example, in 2015 attendees witnessed Harry Potter Reunion with Rupert Grint, Tom Felton and James and Oliver Phelps. Some attractions have become standard due to their constant popularity. They include Nerd Speed Dating and Star Wars sessions provided by the 501st Legion.